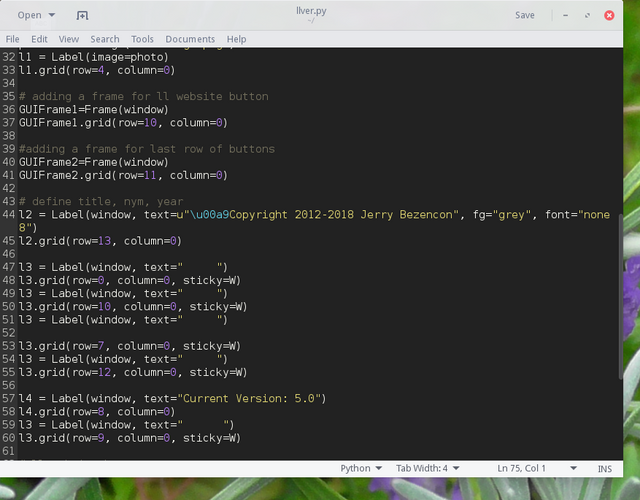 Who wants to write a basic About box for Linux Lite? I'm thinking in Series 5.x of having a replacement for llver. 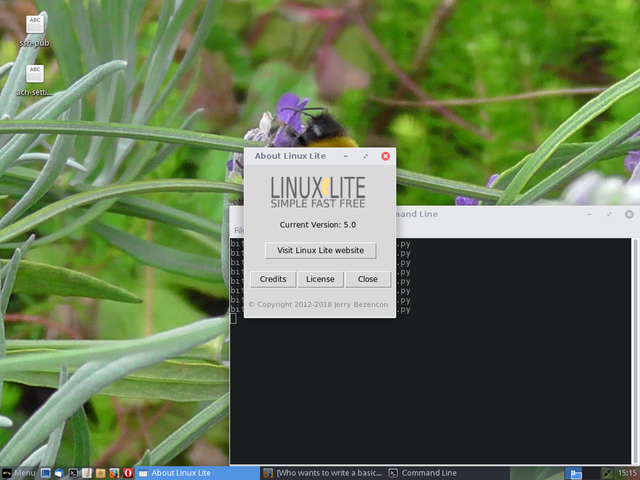 When you type in llver, a simple dialogue box will appear with some basic information about Linux Lite. Think 'winver' in Windows. 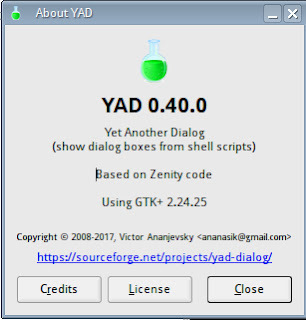 The yad box is about perfect as an example of layout, information etc. 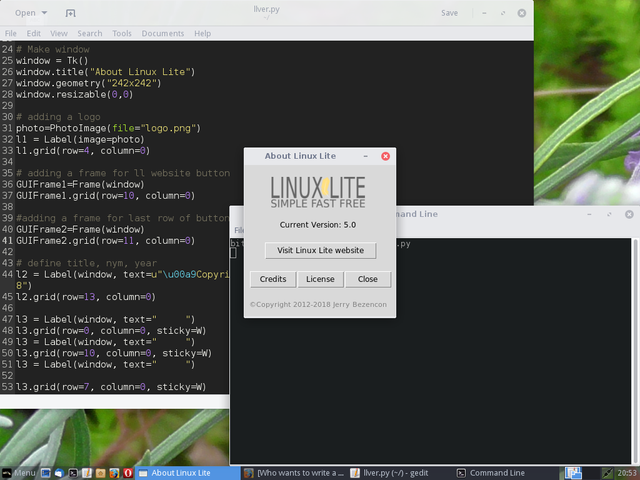 Re: Who wants to write a basic About box for Linux Lite? is there a url for the credits button ? I cannot get an image to embed directly in to, as I haven't done that before and not having much luck with it, maybe someone else can do that, if you like it that is. The image just as an example goes between the LL 5.0 and Simple Fast Free, line of text, it can go above like in the example if you wanted. 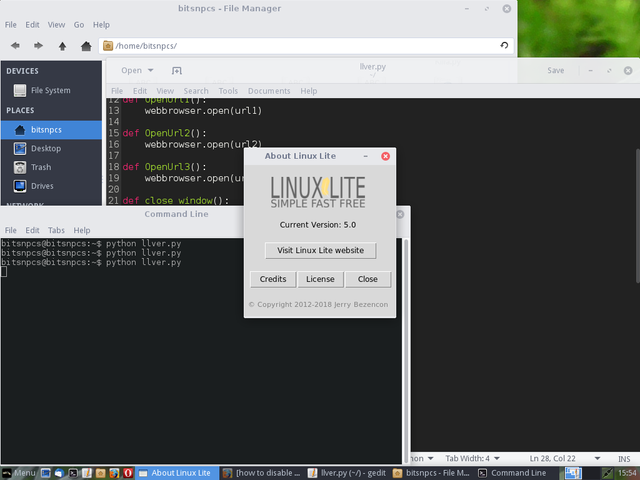 The button for Linux Lite website, detects and opens the default browser (tested with Firefox and Opera) and displays the Main LL website. Credits button opens a browser and loads the #Team page on the Main LL website. License button opens the GPLv2 license webpage. Close button kills/closes the window, with zero errors (tested), also the X button will close the window (tested) with no errors. 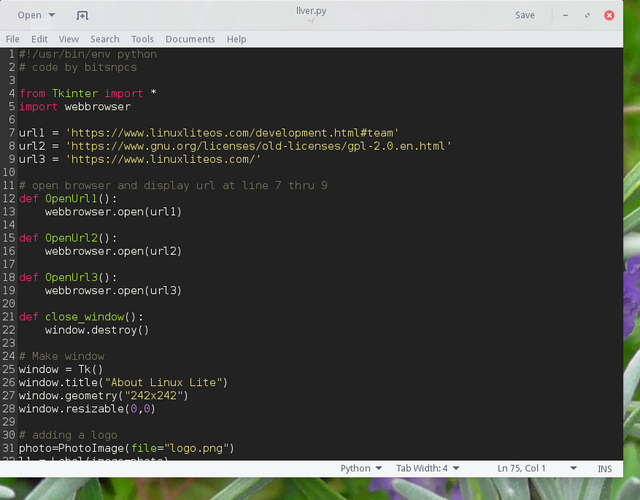 I wrote this in Python, using Gedit, (on Linux Lite) it runs from 1 file "llver.py" from the command line. 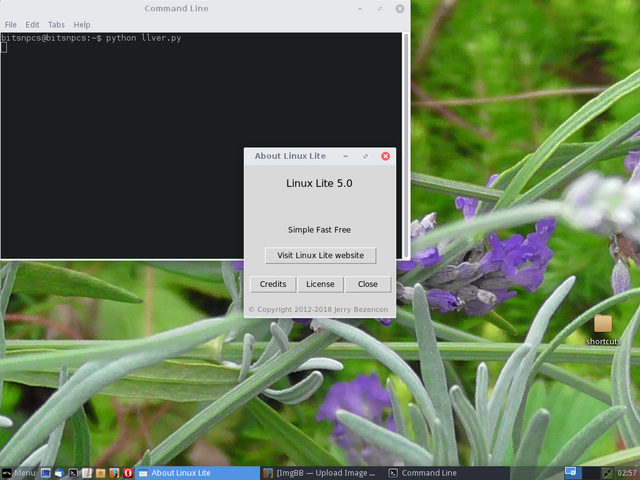 It can be run from a desktop icon or menu item, and the silent tag used so it displays only the gui and not the terminal. If you like it I can add the Python code to a reply. You can point to an existing logo icon location in your code. If you could embed your code into this thread each time you make a change, that would be great. Here is the code for as it is above. I will look in to how to link to the icon. I was not able to find this banner on my computer, so I borrowed it from the main website and edited it in GIMP to make it smaller. As you can see it is not top quality resolution image like the main site, if this is the banner wanted I would need the image in better quality resolution, or a location of one on the hard drive, so I can add the Path to it in the code. The banner can be bigger or it can be centred better. I was unsure of how you want the Version text placement or wording ? Do you want the Copyright line moved to centre in width or left aligned as it is. I need to center the bottom three buttons in the next version, as they look slightly to the right. In it's current state it looks damn good! We can collab more on this on the weekend if that suits you. Excellent job! Can you get rid of the maximize and minimise buttons on the title bar, and make the window non-resizeable please. Yes that would be good Saturday is okay. Sunday I only go online on the evening. I'll look in to how it is done. Removed maximize and minimize joint button. Made the window non resizable by dragging the window edges. I have to look in to how to remove the minimize button without losing the X to close the window. @Jerry I cannot find a way to remove the minimize button that reduces the window to the panel. aligned last row of buttons a little better. Altered Copyright line to bring the C logo and word Copyright closer/spaced correctly.